It's your own private class with the legendary Bob Ross, host of TV's favorite art show The Joy of Painting! 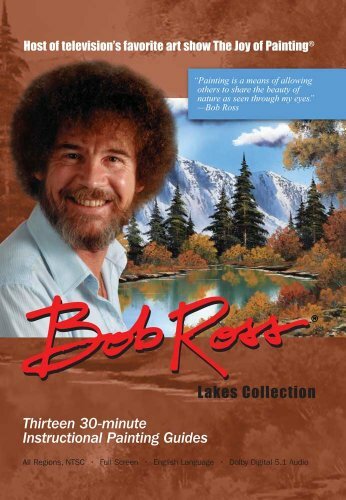 Bob Ross' Lakes Collection is an astounding three DVD set running for six and a half hours that brings you quiet coves, nature reflections, rolling water, winter frosty, and much more - everything you love most about Bob Ross' outdoor painting techniques in this special collection. Across 13 detailed segments, Bob patiently teaches you his world famous Wet-on-Wet Painting Technique for painting your very own dramatic lake views with still polished waters, shiny reflections and crisp colorful sky-kissed hues. If you have any questions about this product by BobRoss, contact us by completing and submitting the form below. If you are looking for a specif part number, please include it with your message.